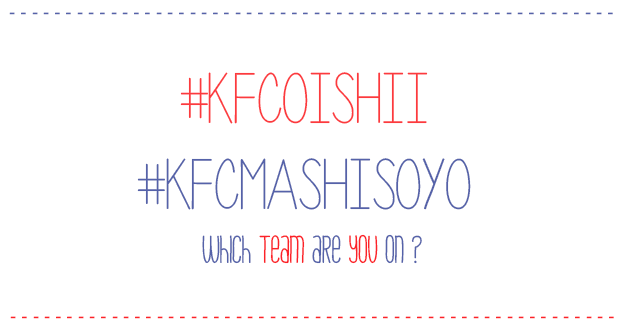 I'm pretty sure many of you know the word "oishii" or "mashisoyo" right? And if you don't, are you living on Earth really? HEYYYY JUST KIDDING lol! Both of the words actually means yummy/delicious in Japanese and Korean respectively. This two countries are extremely popular in Asia due to their music/food/culture etc. I love how Japanese can turn everything to fit into the word 'cute' and how Kpop can come up with such great music. So... Who's better? I can't decide because they are both as awesome! And now we bring the battle to the new KFC WINGS!!! First is the Umadare (tangy yet savoury Japanese sauce) and second is the Yang Yeum (Korean-inspired sweet and spicy sauce)! The Umadare wings has a sweeter flavor to it and the Yang Yeum is super spicy (to me lah cox I don't really take spicy food) but if you love spicy food THIS IS A TO DIE FOR OK GO TRY. 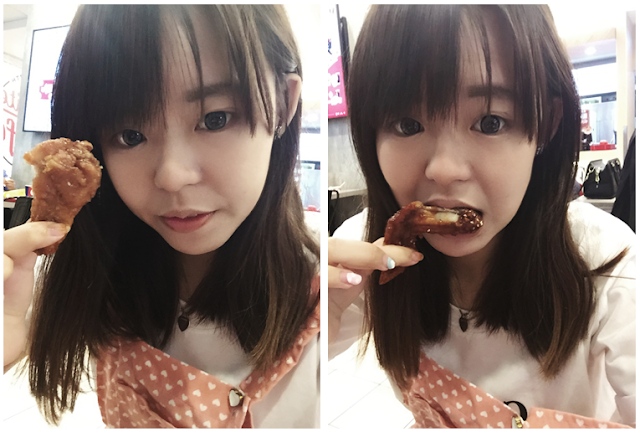 I finished the whole cup of pepsi only after eating 1 wing LOL. I PICK THE UMDARE WINGS!!! A la carte 4 pcs Wings is sold at $4.90 per set. 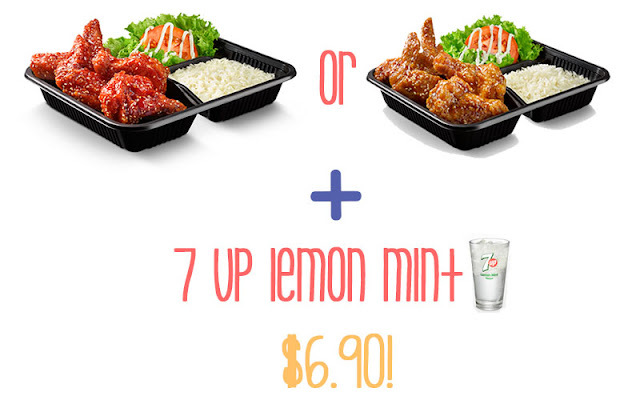 The 4 pcs Wings are also available in a Rice Bento Set with rice, side salad, and the new 7Up Lemon Mint drink, priced at $6.90. These wings are available at all KFC stores except KFC Sentosa and Singapore Zoo. 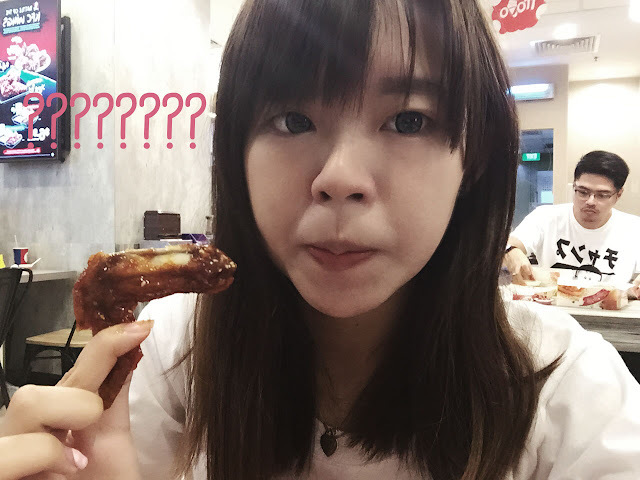 MAI TU LIAO GO GET YOUR WINGS NOW!!! !